Both teams play in Group F of the Euros with Portugal and Austria, Hungary leads the table with three points as they won their first game against Austria and Iceland and Portugal are second on the table with one point as they drew their match and Austria are last on the table. 18th June, 2016 at 21:30 (IST). 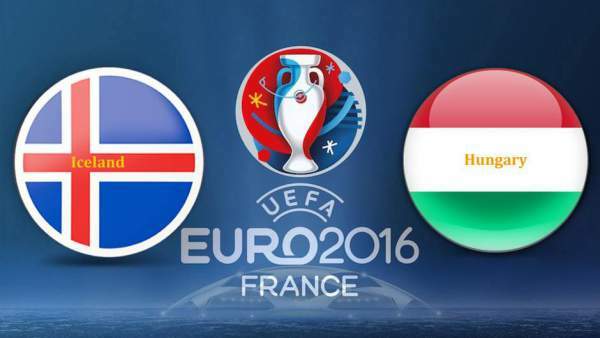 Iceland played against the mighty Portugal in their first match in Saint Ettiene and was able to hold them off with a draw. Portugal had a very strong line-up and much was expected from them but they were not able to live up to mark. After several attempts, the Portugese was finally able to break through the Icelandic defense as Gomes’s cross was converted by the Fernabache player Nani and gave Portugal the lead in the 31st minute. After that Portugal tried several times but was not able to break through Iceland’s defense and then in the 50th minute Iceland made a comeback as they equalized as Birkir Bjarnason scored and made it 1-1. There were two cards issued throughout the course of the game, the first been given the goal scorer Bjarnason in the 55th minute and the second one in the 94th minute to Alfred Finnbogasonl. Iceland was being dominated throughout the game mainly due to the fact they had 28% possession and had 4 shots out of all were on target. Austria played against Hungary in their first match in Bordeaux and lost the game by 0-2. Adam Szalai scored the first goal in the 62nd minute of the game and then as the game was approaching the end, Hungary made it 0-2 as Zoltan Steiber scored in the 87th minute. The Austrian were all over the pitch, Aleksander Dragovic was given a yellow in the 33rd minute and then he received another yellow in the 66th minute and was sent off. Austria had 51% possession, won four corners and had 14 shots out of which three were on target. Halldorsson, Saevarsson, Sigurdsson, Arnason, Skulason, Gudmundsson, Gunnarsson, Sigurdsson, Bjarnason, Sigthorsson, Bodvarsson. Kiraly, Fiola, Guzmics, Land, Kadar, Gera, Dzsudzsak, Nagy, Kleinheisler, Nemeth, Szalai.